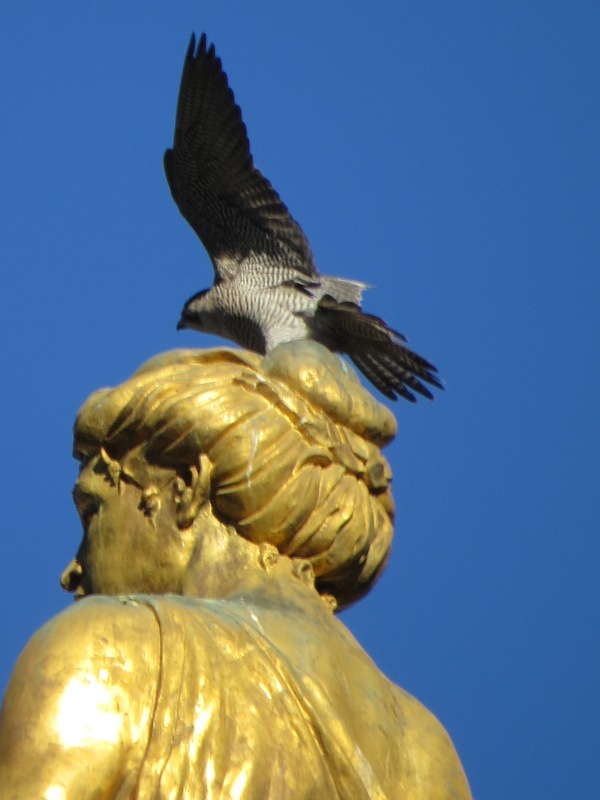 A Peregrine (Falco peregrinus) was perched atop the head of the statue of Justice atop Brooklyn’s Borough Hall when I emerged from the R train. The bird remained there as I made some copies, went to the Post Office, and returned to swing around to the chignon-side. 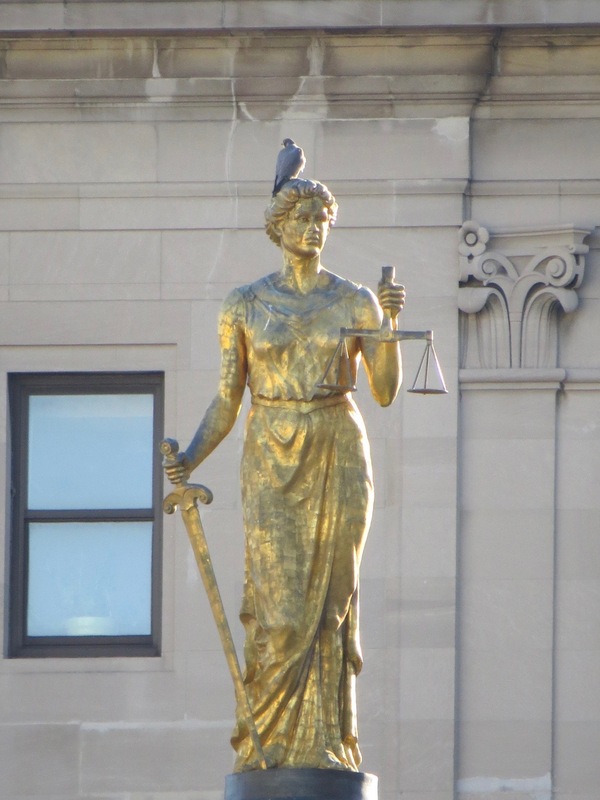 Not all Justice is blind. We can see the neo-confederate Jeff Sessions, picked by the self-dealing Fraudster-Elect to make sure the Justice Department is corrupted to his ends, in all his hideousness. The bird flew to this cliff face, where I left it to descend back into the subway. 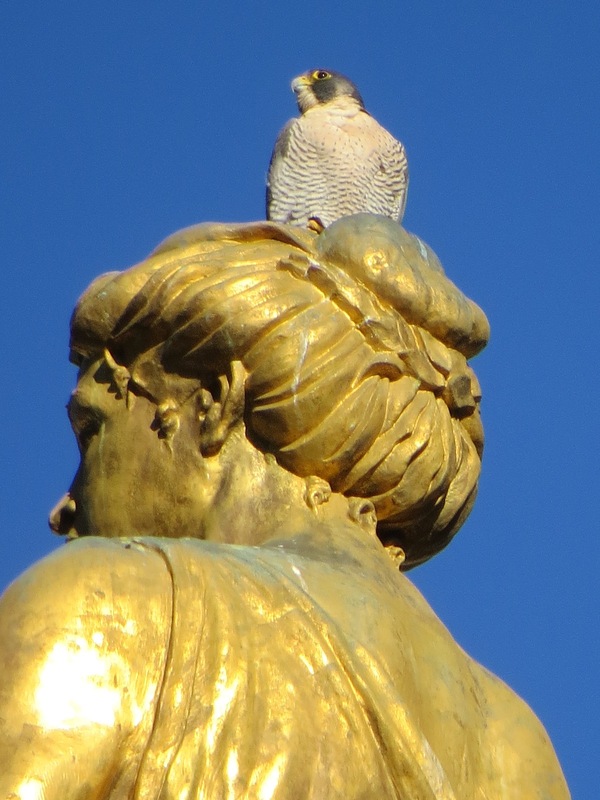 Later that day, a Red-tailed Hawk, Merlin, and possible Cooper’s Hawk were all spotted in Green-Wood. 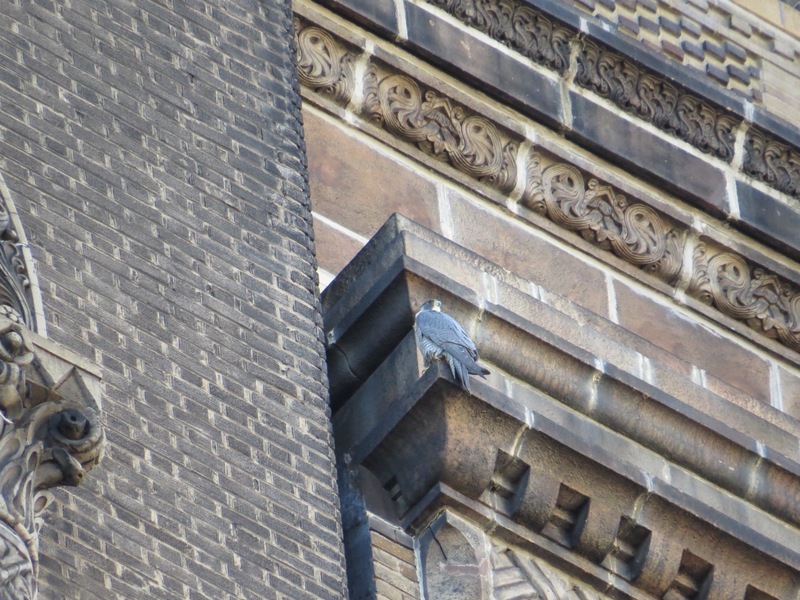 And that evening, another Peregrine, perched on top of St. Michael’s, a sight I haven’t seen since the election. You always have the best photos. These are great. Terrific photos! Sadly, your statement regarding the selection of Sessions is true. Very worried as to how this plays out.